I finally pulled the trigger on a brand spanking new 351! What a great watch! Thanks to all that helped with the process! Being technically challenged, I need to do some research and learn how to post the "on the wrist" shot. ...that's an awesome piece. I still regretting selling mine. Enjoy it in the best of health. 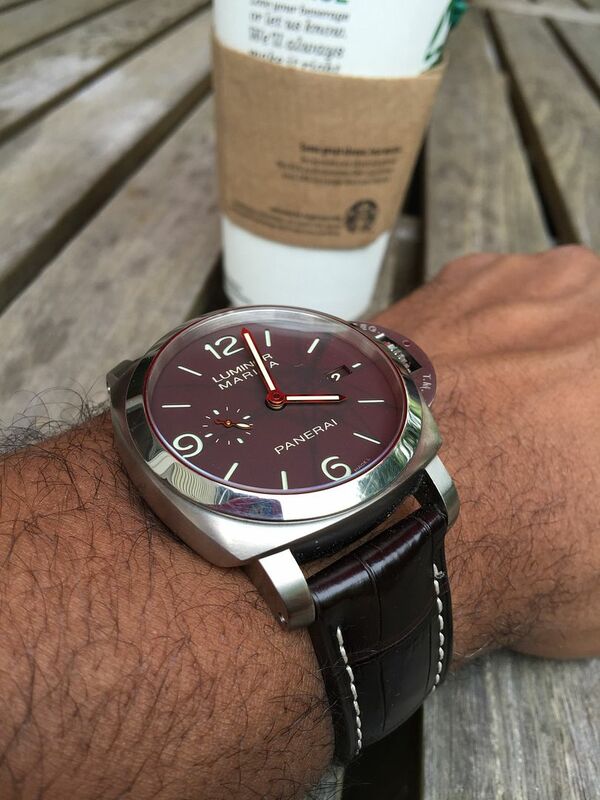 I have owned a lot of Panerai. A lot. And the 351 for me, is one of the best and one that I have zero plans on selling. There are so many wonderful things about it from the gold hands to the tobacco dial to the seconds AND "9", but the sleeper feature really is the Titanium case. Not only does it visually set it apart from the other similar looking PAMs, its the WEIGHT. This thing is super light to the point it sits on the wrist to the point you can forget its on your wrist. Compared to most other PAMs its a feature. Such the sleeper feature. Thanks for all the kind words. After having it for a few days I can say I like it even more! The fit is great, the weight is just right and love the fact that they're less common in the wild than some of the luxury watches out there. nice watch, love the dial.. The tobacco dial on titanium is aesthetically perfect, IMO.